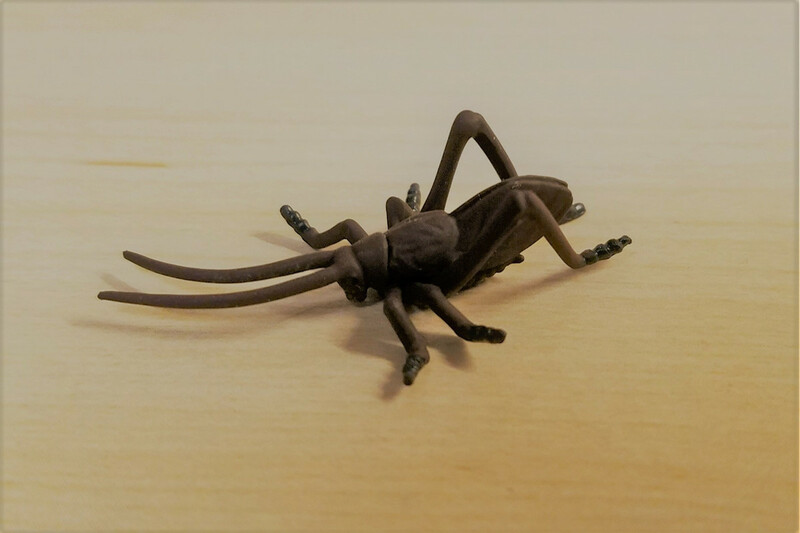 Review of a set of crickets and katydids called Sound of Autumn by Dreams Come True, LTD, originally released in 2004. At the time of the initial writing, I have only five of the eight figures in the set. I hope to complete this set for sure! The theme is singing orthopteroids, and features eight crickets and katydids. 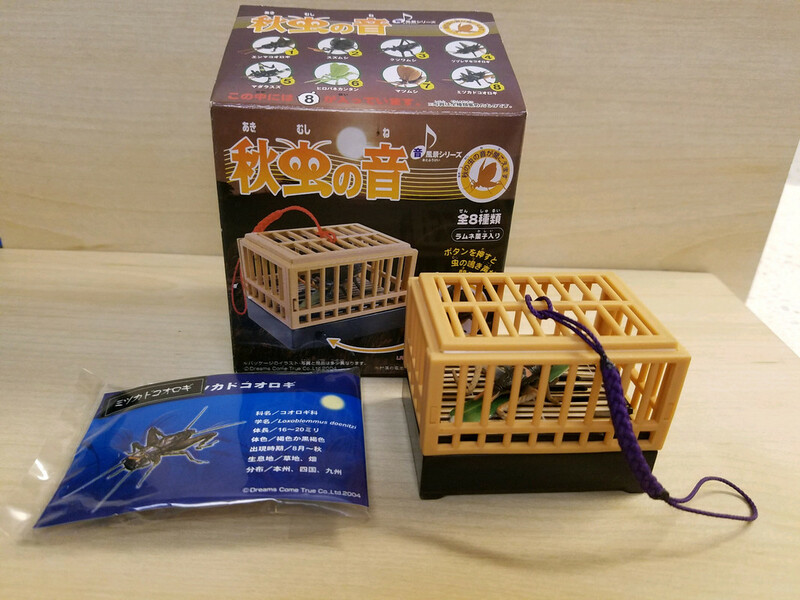 Each figure comes permanently attached in a plastic cage (see first image). You can push a button on the side of the cage and it plays the sound the animal makes! The batteries in mine must have been dead as none made sound (or maybe batteries were not included - I did not feel like unscrewing the bottom to find out). I do not like to display figures in captivity, so I physically removed them, which meant irreparably damaging the cages. 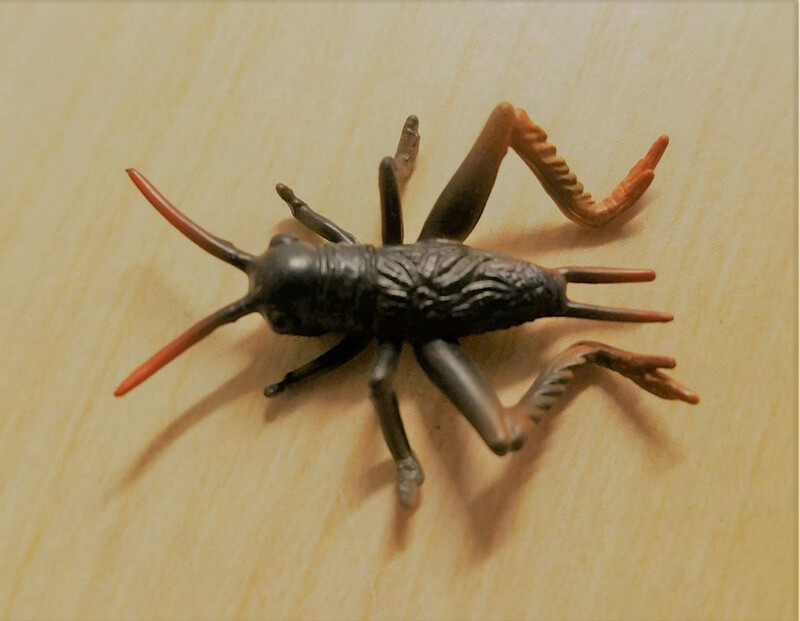 The insects are attached by a rubber extension which was easy to cut off. 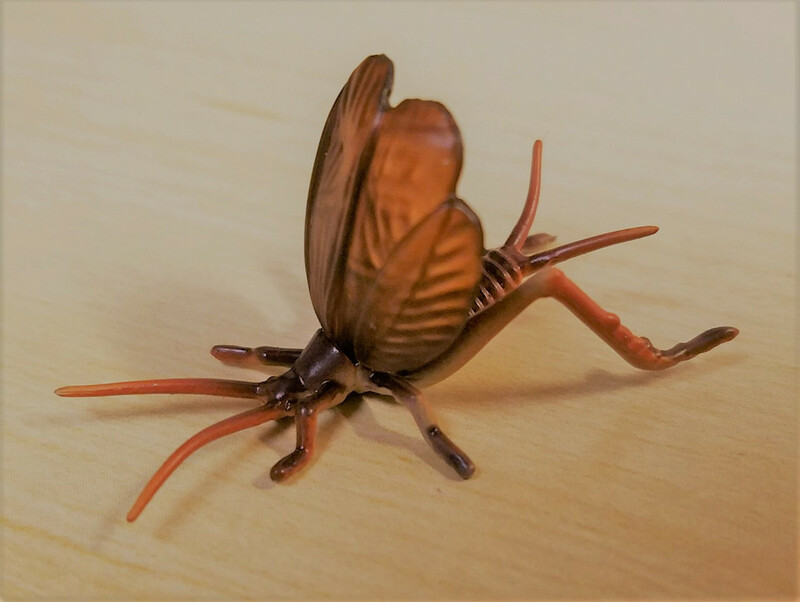 The individual insects are small, including appendages they are roughly 3.4-4.0 cm long (to put things in perspective, the cages are 5.5 cm x 4.0 cm x 3.5 cm. They are a solid piece relatively soft plastic. Nice detail given their size. Each figure also comes with a card with the scientific name and a piece of candy. I am so grateful Latin names were included. And of the first five I have, not only are they all new species, they are all new genera! Orthopteroids are not often marketed at the species level, so this is a nice treat! 5. 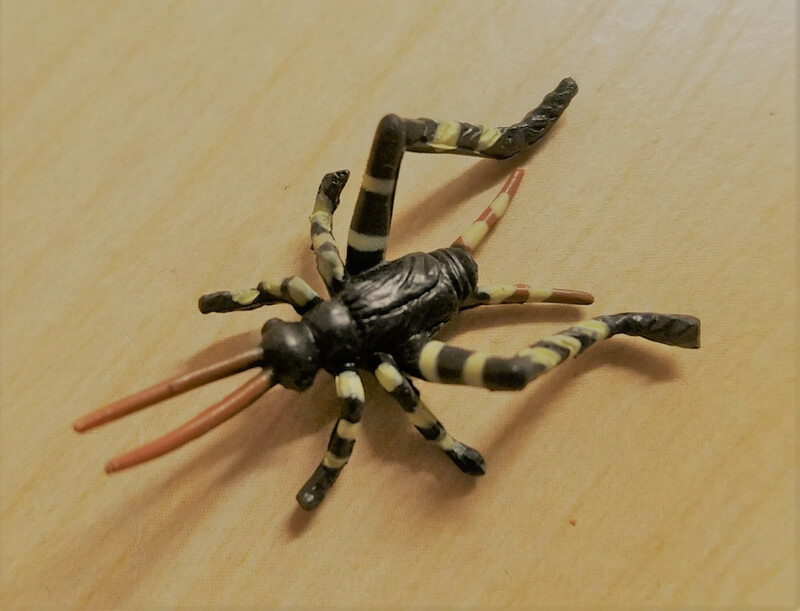 Dianemobius nigrofasciatus [marketed as Pteronemobius nigrofasciatus). 7. Xenogryllus marmoratus. I love the raised wings on this one!!! Now...to get the remaining three!!!!!!!!!!!!! I WANT!!!!! Where did you find them? OMG I need those figures! Great little walk around, Blaine! But then again, that goes without saying! 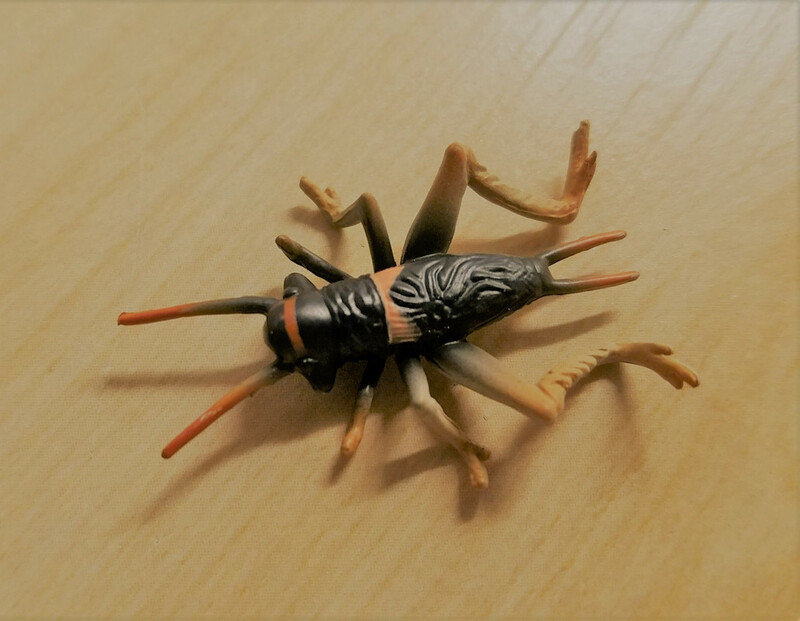 Beetle Guy alerted me to them on the Japanese Yahoo auction site and I had Brett secure them. They were sold individually, so I still need the other three. Not sure if/when I will ever see them? This set is 14 years old and I have never seen them before! Seems like an odd choice to put them all permanently in cages. I would also set them free. Are the sounds accurate or wouldn't you know? 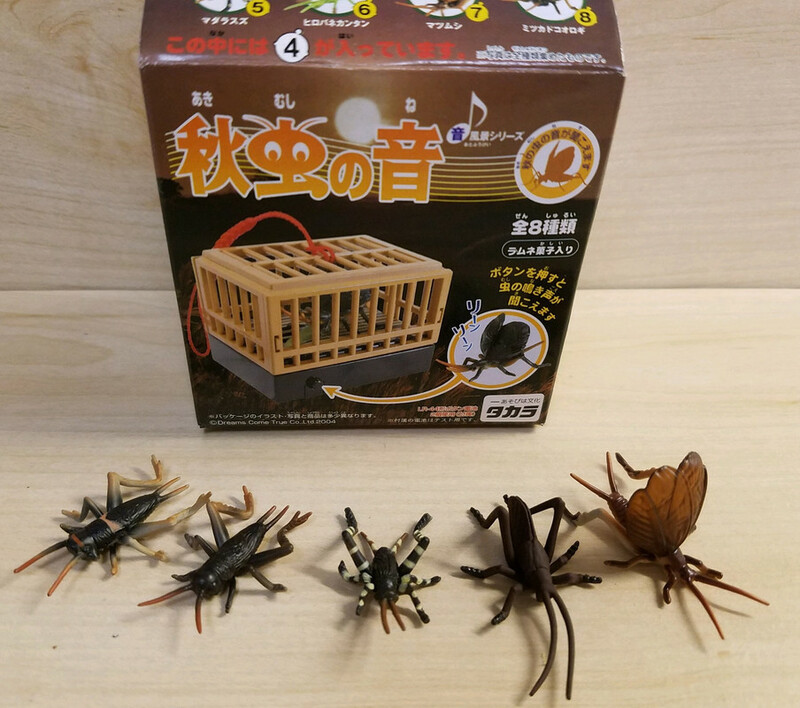 It's actually quite popular in Japan to keep crickets in cages! With regards to their songs, even if I could hear them I wouldn't know if they were accurate or not. Oh, yeah, the batteries were dead (or no batteries). I read that and immediately forgot it when I wrote my reply. Pet crickets. Well, I suppose they are easy maintenance. Sad though.